If you want to see what movies are new and hot right now, you could ask your friends on social media, browse through the newly added titles on Netflix or read a few good entertainment blogs. Alternatively, you could just sign up for Flixster. 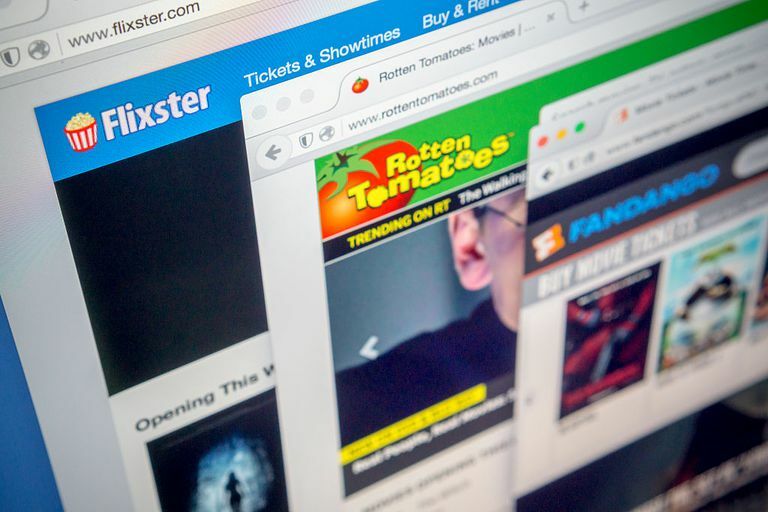 Flixster is the most popular movie platform that people are using to discover new movies, rate ones they've seen, save ones they're interested in seeing, find theaters that are playing the ones they want to see and even buy tickets ahead of time. The service allows you to see the top box office hits and everything that's new this week, then use your account to save movies to your Want to See list to keep track of everything that you plan on watching. You can use Flixster from a desktop computer, but you'll get the best experience by using its free mobile apps for iOS and Android. It's actually the most downloaded movies app of all time. When you download the app, make sure you tap the My Account tab in the bottom menu to create or sign in to an existing account. You can do this through your Facebook or Google account if you want. Flixster can also be integrated with the Fandago app if you bought tickects through Fandago. The Flixster app for Android. Even if you don't consider yourself to be the biggest movie buff in the world, having the Flixster app on your smartphone is a lifesaver when it comes to planning movie nights both at the theater and at home. Here are the main features you'll really benefit from when you use the Flixster app. Catch a glimpse of what's new and hot on your home feed: When you open the app, you'll see Flixster's featured movie, what's opening this week and what's topping the box office. See what's in theaters now versus what's coming to theaters soon: Switch between the In Theaters and Coming Soon tabs on your home feed to easily see what's out now separated from what's coming out in the near future. Locate theaters near you: Shortly after downloading the app, Flixster will ask your permission to access your location so that it can find theaters that are close to you. When you allows this, you'll be able to see a list of all nearby theaters in the "Theaters" tab located in the bottom menu. You can set specific theaters as your favorites. Get notifications about new trailers and movie releases: When you enable Flixster notifications, you'll be among the first to know about any new movie trailers and releases as they're announced. See ratings from Rotten Tomatoes: Every big movie lover knows that Rotten Tomatoes is the number one destination for movie ratings. Flixster is fully integrated with Rotten Tomatoes so you see their ratings on every movie you browse through. See Flixster's user scores for each movie: In addition to Rotten Tomatoes, you also get to see how Flixster users rate movies by looking at the Flixster user score that's displayed on each movie. Play trailers with a tap of your finger: When you tap a movie to view its details, you'll see a large video player at the top, which you can tap to instantly start watching the trailer. No need to go to YouTube or anything—Flixster pulls up a new tab and starts playing the trailer right away. See movie information, photos, cast members and critic reviews: When you tap on a movie's Details tab, you'll be able to see everything you need without any spoilers. Read the movie synopsis, view photos, check out the cast and crew, and read critic reviews pulled from Rotten Tomatoes. Get showtimes at theaters near you: When you find a movie you're interested in, all you have to do is tap Get Showtimes to see a list of when and where it's playing near you. You can also use the handy calendar options to check the times for today and every day through the rest of the week. Purchase tickets: When you click on a time for a particular movie, you'll be taken to a new tab where you can actually purchase your tickets directly through the app. As mentioned, you can access your tickets purchased through the Fandago app through Flixster. Save movies that you want to see: You can build a list of movies you want to see by tapping the "Want to See" button. To access your list later, simply head to "My Movies" to view and manage your list. Nix movies you're not interested in seeing: Want to get rid of a particular movie from showing on your account because you just don't care to go see it? Tap Not Interested on the movie's tab to tell Flixster to remove it. Rate movies that you've seen: Don't forget to help out the Flixster community by rating movies you've watched. Your rating will contribute to the overall Flixster user scores displayed on each movie that you rate. See what's coming out on DVD: Last but not least, get an up-to-date digest of movies that have recently been released on DVD by tapping the "DVD" tab in the bottom menu. You can use the options at the top to see new releases, what's scheduled to come out soon and genres you can browse through. Read news stories about the latest movies: Head on over to the News tab to see a feed of headlines about all the latest and upcoming flicks. If you're tired of hunting down vague information about new movies and where and when they might be playing, Flixster is a must-have app. It's really the perfect one-stop-shop for all your movie needs.